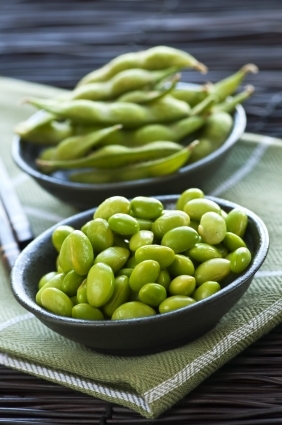 Q: You don't need to cook edamame before making it? Q: My self and my housemate are plant-based and super busy — we work full time and study full time. I am just wondering if you have a standard cupboard/shopping list that you use. I like to pre-make a lot of my meals ahead. A: I highly recommend checking out the meal plans. Not only can you make nearly everything ahead; most meals only take a few minutes to pull together even if you didn't make them ahead. They're designed for busy people :). It also comes with a shopping list. Otherwise, you can use the shopping and pantry lists at the front of the cookbooks. There's this pantry list too. Q: What can I use instead of corn tortillas? A: In most recipes, a flour tortilla would be fine. Every time I go to the store, there seem to be new "flavors" of tortillas. Last week, I saw tortillas made from chia seeds and another from potatoes? What will they think of next? Q: I am desperately trying to make a Plant-Based, Gluten-Free loaf of bread in my bread machine. It isn't going too well. Help! A: I'm sorry to say I've never used a bread machine so I don't have much advice. The only gluten-free bread I've made is my beer breads with the GF all-purpose blend in EHH and HHA and GF beer. You might try Googling for a vegan gluten-free bread machine recipe. I've also seen a lot of GF bread books on Amazon, those might be helpful. Here's a post I did on GF baking that isn't about bread per se, but may help. Q: I've been making really bad food choices lately. Any advice? A: I can't recommend the 3-day reboot (with habits bootcamp!) or 10-day cleanse & wellness immersion enough!